sciencemug sip science & laugh: HAM IN SPACE! 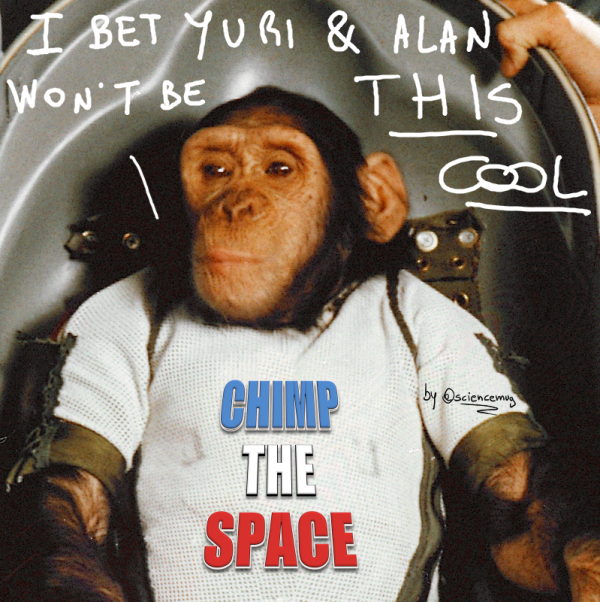 This day in 1961, chimp Ham's the first higher primate to go for a ride on a spacecraft. [Post flight notes: Ham retires and lives at the Washington Zoo first (1963-1980), and then at the North Carolina Zoological Park in Asheboro (1980-1983). It now sleeps in front of the International Space Hall of Fame (Alamogordo, New Mexico)].